Given the profound, earth-shattering implications of molecular manufacturing (MM), the world should be very interested in what nations are most likely to initially develop this technology. Many nations have nanotechnology initiatives, but the term "nanotechnology" has lost much of its original meaning and only a few nations have a realistic chance of being the first to develop a general purpose exponential molecular manufacturing capability. Solid arguments could be made for each of these powers being the first to suceed, but the Bible provides us with the answer. Given the projected timeline for MM's development, it seems highly unlikely that, even if the seven year tribulation period began today, it could play out in its entirety before the development of MM. If this is true, then it would also be reasonable to assume the assertion that Revelation Chapter 6 foreshadows the Antichrist's use of molecular manufacturing. This is because Revelation Chapter 6 foreshadows the consolidation of a global empire under the rule of the Antichrist. If this global empire is already in place, the development of molecular manufacturing cannot lead to the fulfillment of Revelation 6 because the need to conquer other nations will be non-existent. However, many believe the development of molecular manufacturing will require a global regime to regulate its immense power, and as a result of its development, a global regime will emerge. Once this global empire emerges, the bible tells us it will be the final world empire to exist before the return of Jesus Christ. Knowing this, we must conclude that the world power that will first develop MM will be the same world power controlled by the Antichrist. Do any of the aforementioned powers fit this profile? Daniel 9:26 states that the Antichrist will be a ruler from among the people who destroy the Temple. From historical accounts, we know that the Romans destroyed the Temple in A.D. 70. If MM is to be developed soon, these ten nations of the revived Roman Empire must already be in existence and working together. Otherwise, they would be incapable of developing molecular manufacturing within the designated timeframe and ahead of the aforementioned world powers. It might come as a surprise to most people, but a ten nation confederacy in Europe fitting the above description, does exist. It's known as the Western European Union (WEU), and it exists for the express purpose of being "the defense component of the European Union." The WEU has 28 members, but only 10 members (Belgium, France, Germany, Greece, Italy, Luxembourg, Netherlands, Portugal, Spain, and the United Kingdom) are fully-vested and permanent members. Furthermore, no plans exist to expand this number. Each of these ten sovereign nations freely gives its authority to the WEU oversee a number of defense related matters, and the WEU is headed by the Secretary-General who is appointed by the ten member states. You can learn more about the WEU in this PDF titled "WEU Today." Is the WEU capable of developing MM? Is the Western European Union (WEU) capable of developing MM? Although member nations retain many aspects of sovereignty and field their own national militaries, armaments cooperation (including high-level R&D) is a major function of the WEU. It seems conceivable that the WEU could be the first entity to develop molecular manufacturing, making it the world's preeminent military power in an astonishingly short period of time. The European continent is home to many of the greatest scientific minds on the planet, and collectively, the nations of the Western European Union comprise the greatest economic power on earth. 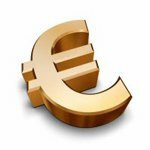 Not only is the euro now more valuable than the dollar, but the collective GDP of the nations in the European Union exceeds that of the United States. While the United States fools itself into believing it's investing in the development of molecular manufacturing, the nations of Europe are actually doing it. As reported earlier, The United Kingdom's Engineering and Physical Sciences Research Council (EPSRC) recently sponsored an Ideas Factory on the "Software Control of Matter," the results of which included the goal of creating a "matter compiler" within 3 to 5 years. In addition, "Nanoscience and Nanotechnology in Europe," a report published by the Naval Research Laboratory, contains over 350 references to specific nanotechnology research on the European Continent, including a wide array of "bottom-up" technologies that represent forerunners to molecular manufacturing. Given its current research initiatives, it seems the European Union has a better than even chance of being the first to develop molecular manufacturing. When it is developed, the consequences will be global in nature. "Molecular manufacturing represents power: political power, military power, and financial power. Who controls that power and how widely - how democratically - it is distributed will make all the difference when the technology is developed. Decisions we make before that time will determine whether our world becomes safer or more dangerous; more just or less just; more free or more oppressive." Unfortunately, the bible tells us the world will be more dangerous, less just, and more oppressive. Fortunately, the bible also tells us of a great hope. The appearance of this final world empire takes place just before the return of Jesus Christ, and when He returns, He will set up his own global kingdom - a kingdom characterized by everlasting peace and love. Return to the top of Who Will Develop Molecular Manufacturing?